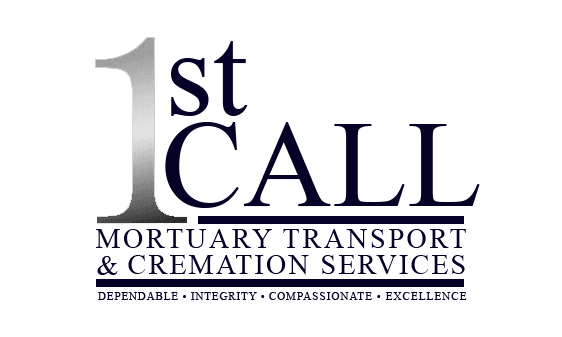 If you're a funeral parlor manager or operator, and in need of a quality mortuary transport services, you've come to the right place! Here at 1st Call Transport, we take pride in delivering unmatched quality service that goes beyond the norm. We serve our clients with D.I.C.E. (Dependability, Integrity, Compassion, Excellence) We are a 1st call removal and transport company with trained and qualified removal techs. We do not identify ourselves as a "transportation" company. Your funeral home will always be represented by name. Training and procedures unique to your standards. We are also fully insured. Our trained professionals are equipped with the knowledge and equipment to complete any removal with D.I.C.E. Our services are available 24 hours a day, 7 days a week to funeral home owners and operators who need efficient, affordable, and professional mortuary transportation from hospitals, nursing homes, residences, airports and others.